It's a internet tradition. The end of the year means a lot of listicle article about different things. Who am I to buck the system. 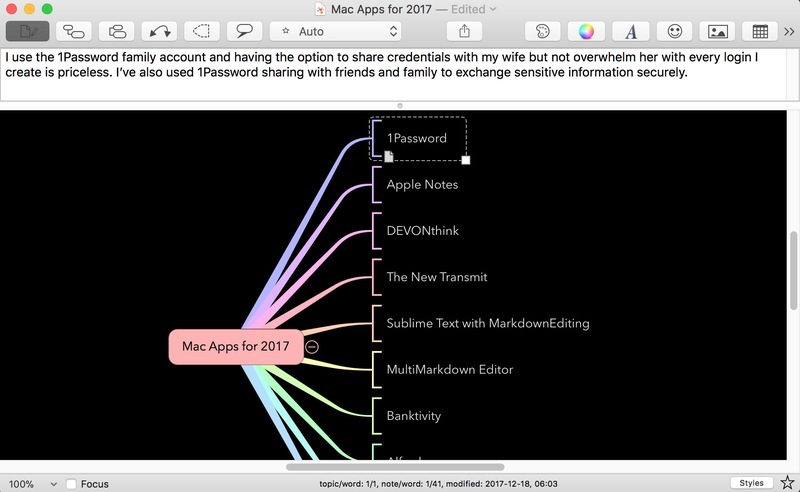 Here's a listicle of the best software I used on my Mac in 2017. I'd be lost without 1Password on my Mac. The family plan also makes it possible for me to share logins with my spouse without cluttering her 1Password list with a bunch of junk she doesn't care about. I've also found some nice use cases for sharing sensitive date with extended family members. Anything to avoid using email. I think the Notes app is a standout hit for Apple on all of their platforms. I use it constantly on iOS and I've grown to appreciate it's power on the Mac. 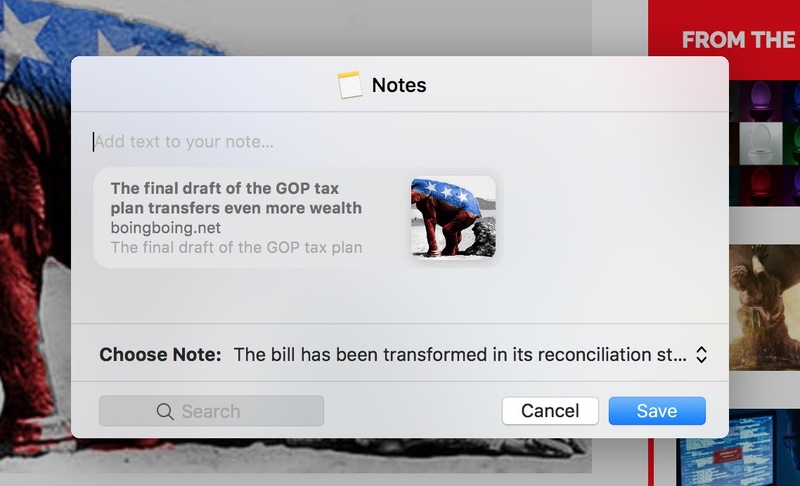 Specifically, it's fantastic for quick research capture because it remembers the most recently edited note and offers to append the new content. Search works in the macOS share sheet too so I can quickly get to another note if I want to append somewhere else. The shared note feature has been a real boon for holiday shopping. My wife and I share gift lists and then just check-off items as we buy them. This is much more useful to us than shared reminders because we can make notes about possible gifts or add comments about the exact Lego kit to buy. Banktivity 6 (previously iBank) is one of the better finance management applications out there. It doesn't have everything but it has what I need most. What it really does well is automatic syncing and rectification of accounts. There's an envelope budgeting system (that I don't use that well), automatic categorization, and tagging. Everything except the envelope budget is pretty intuitive and it syncs with the iOS versions. 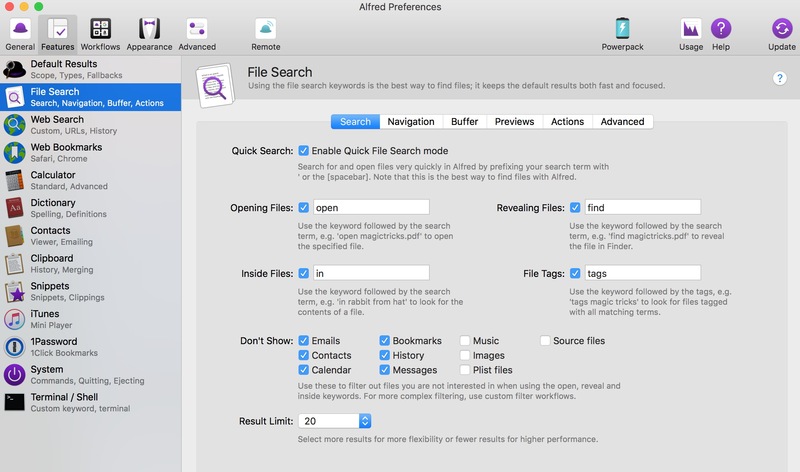 This is another app that mostly provides value because of its syncing between iOS and Mac. 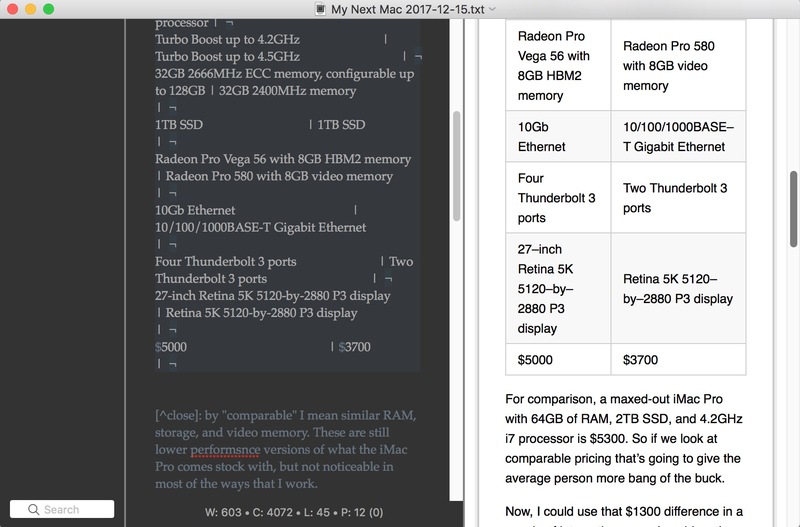 Copied is more than just a clipboard history for my Mac. I can get that through a dozen other apps. Where it really shines with the categorization and storage of clipboard content. For example, I keep all of my affiliate links for my favorite apps in Copied and then just search and copy as needed. What can I say about DEVONthink Pro Office that I haven't already said? No, really, I think I've said it all. It's a launch item on my Mac and I keep it open pretty much all of the time. DTPO is my research and archive platform. The Auto-Classify feature on the Mac is one of the best things I do with software each day. It's incredibly powerful I truly missed the Mac app when I was iOS only for five months. I also think the built-in OCR options with the Pro Office version is the best you can get on the Mac. I re-OCR every ScanSnap scan with DTPO because the quality is so much better. Hazel is easy to forget because once a rule is running, it just works. This is another one of my longtime favorite Mac apps and it continues to get better each year. 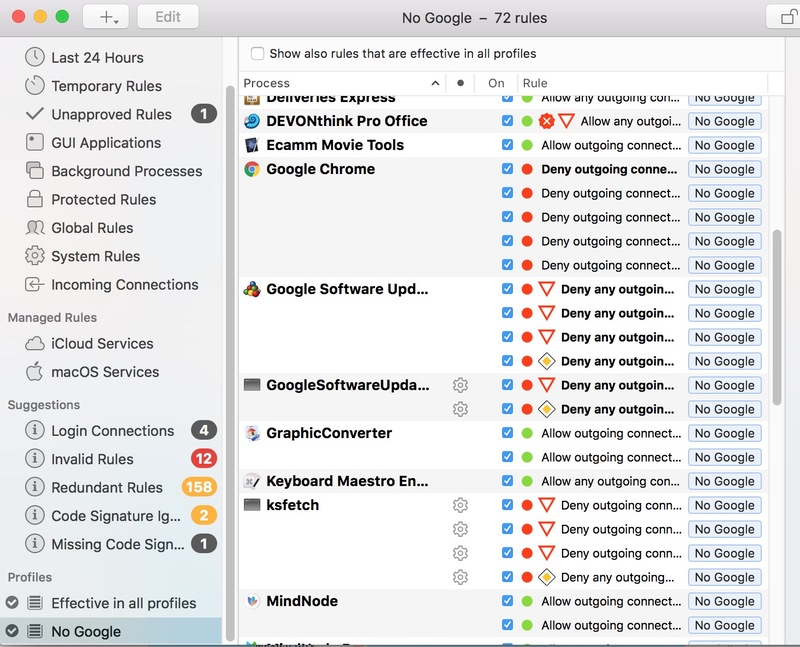 This is the app that keeps my Mac cleaned up and feeling like the OS knows me. Hazel delivers on the promise of smart folders in ways Apple never has it's absolutely worth the price for me. If you're not sure what it can do, spend a weekend reading the manual or visit one of the most helpful forums on the Internet. I use iThoughtsX on my Mac almost everyday. It's a great way to think through a problem even if I don't ever save the resulting map. I love all of the keyboard shortcuts and the features like Reminders integration and tree-math are kind of mind-boggling. I use Keyboard Maestro to manage all of my keyboard magic. Snippets, screen shots, file renaming, are all done by Keyboard Maestro on my Mac. I even tied the "Trigger Macro by Name" function to the Ctrl-Space hot key on my Mac because I use it so often. If you want to do some amazing clipboard tricks on your Mac, there's probably no app more powerful than Keyboard Maestro. It's one of the first things I install on a new Mac, for good reason. 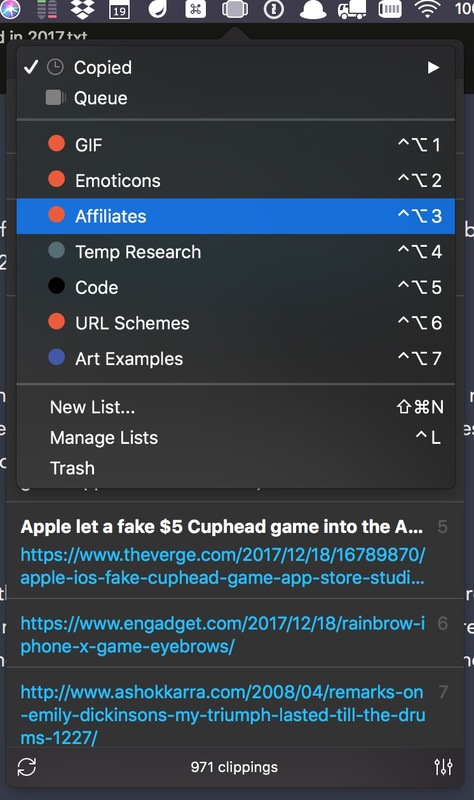 I'm a huge fan of Little Snitch, even before this years major update. I almost always run with a No-Google profile to prevent every Google service from phoning home constantly, even when I'm not using it. 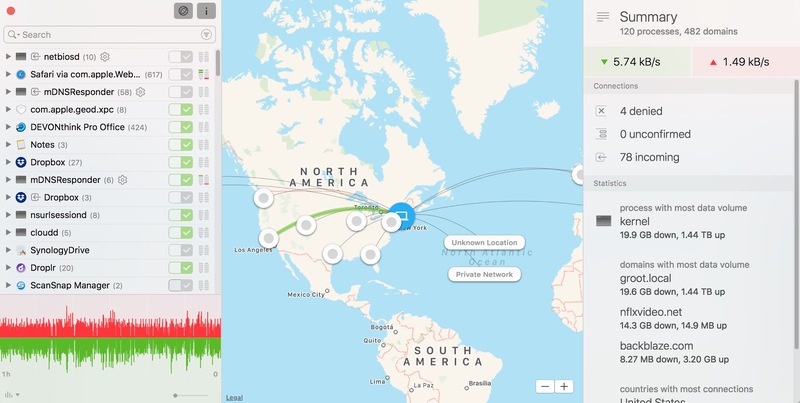 I always liked the Little Snitch network monitor menu app, but the new version is even better with more info and a nice big display. If you haven't tried MultiMarkdown Composer in awhile, it's worth a revisit. 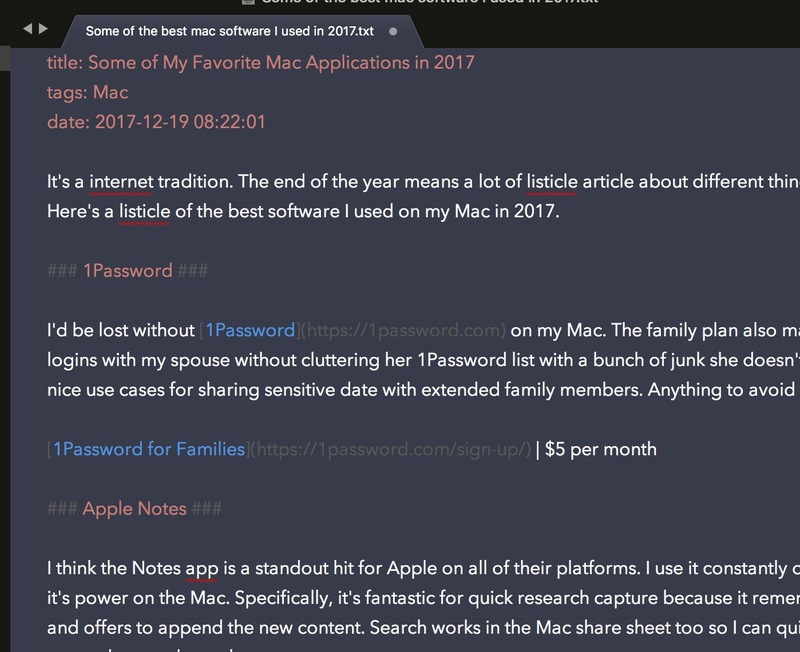 It's a very nice editor made by the same person that maintains the MultiMarkdown standard. It provides a synchronized split view of the plain text and rendered HTML which is a nice way to preview your work as you go. But what it is really good at is messing with edge cases and weird formatting, such as MultiMarkdown tables, footnotes, and text blocks. It even has built-in support for revisions with Critic Markup. You can try the app for free before you buy it on the AppStore. I use Sublime I usually write with Sublime Text on both Mac and Windows. It's fast, beautiful, and extremely powerful. When I'm writing in Markdown, I use the MarkdownEditing package because it has terrific shortcuts for creating in-line links and image anchors. I also like the Markdown themes available in the package. When I want to quickly fire-off a blog post or edit one of my many typos, nothing beats the Sublime Text SFTP package. I can connect, browse, edit, and pretty much do anything I need as a one off. The package is made by the same developer that created the original Sublime Text package control so you know it's good. It also works on Windows and Mac equally well. I've used Transmit for Mac from way back when FTP was cool. It's simply the best FTP client on any platform. Version 5 adds a bunch of new host types like Google Drive, Backblaze, and Azure but it also just feels faster and much more polished. There's even a crazy new batch-rename feature which is wonderful. If you create a remote server path for a connection then you can also copy a remote file's URL with Shift-⌘-C. That's pretty great for blogging.